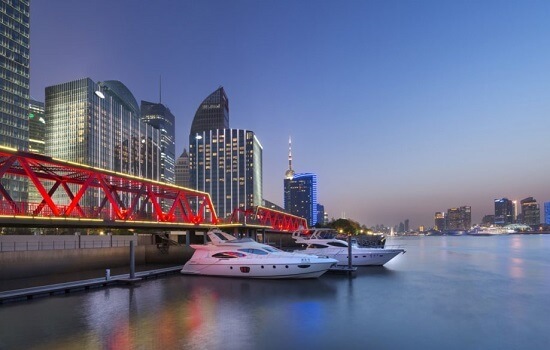 The MO is set amidst the futuristic skyscrapers of Lujiazui, on the banks of the Huangpu River. The hotel offers 318 rooms and 44 suites. All have floor-to-ceiling windows with spectacular views over the city. Rooms also feature state-of-the-art bathrooms with rainforest showers and deep soaking bathtubs. There’s a choice of six restaurants and bars. 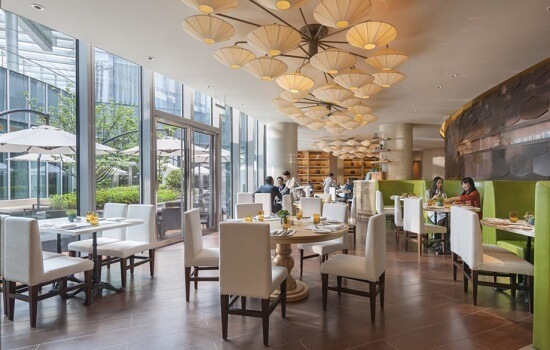 Take your pick from Jiang-nan Chinese dishes at Yong Yi Ting, French cuisine at Fifty 8° Grill or Zest, which serves up a International menu throughout the day. Afternoon tea and cocktails are served in the Riviera Lounge or Qi, while pastries to delight your tastebuds are available in the Mandarin Cake Shop. 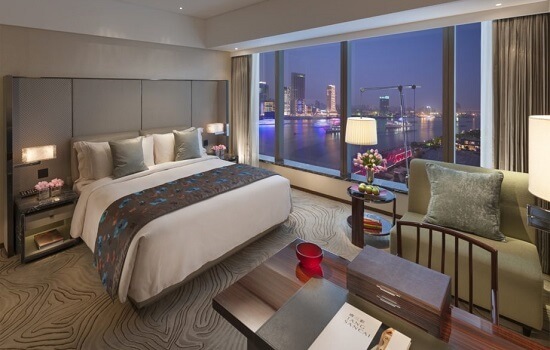 Mandarin Oriental pride themselves on their superb Spa offerings, and Shanghai certainly does not disappoint with spectacular heat and water facilities including crystal steam room, tepidarium chairs, aroma experience showers, sauna and an ice fountain. There is also a 25m indoor pool plus gym and fitness centre. Excellent Spa facilities, 25m indoor pool & gym.